It is incredible to me how one blink-of-an-eye moment can drastically impact your life. Since our car accident two weeks ago we have found ourselves dealing daily with the aftermath. Beyond the physical pain, there have been claims to file, insurance adjusters to talk to, paperwork to fill out, statements to make, prescriptions to fill, doctor visits to attend, and many, many conversations with our girls about what happened. My husband has led the charge, navigating this sometimes sticky process with wisdom and kindness and compassion. He is taking care of his girls, and we are all recovering well. GET MY 10 HABITS TIP SHEET NOW! While my disability at this point is pretty minor, it has reminded me once again of just how taxing the role of caregiver can be. A few years ago, when our youngest daughter Annie was just five months old, my elderly mother-in-law Marie came to live with us because she was no longer able to live on her own. Already mired in the day-to-day chaos of caring for a colicky infant and an active toddler, we were woefully unprepared for this phenomenon called “Sandwich Years,” a time where you have both children and parents to care for. Hindsight is 20/20, but looking back, I truly wish we would’ve been a little more prepared for the challenges of being a full-time caregiver. I loved my mother-in-law and desperately wanted her to be a part of my children’s life. I wanted them to grow up knowing her and having a close relationship. I thought that the benefits of having her live with us would far outweigh any detriments. There was so much we didn’t know, so much I wish someone with more experience could have had told us. We didn’t realize, going into it, how many difficult choices would come up. There were an endless slew of medical decisions, financial decisions, and quality of life decisions that constantly needed to be made. Sometimes what Marie wanted to do was at odds with what everyone else wanted her to do; sometimes we were unable to sway her towards a decision we knew was best, causing frustration and resentment. There were many times we couldn’t convince her to make a decision at all. I truly wish we would’ve had the forethought to sit down with Marie ahead of time, before it was too late, and address some of the end-of-life issues that are so hard to talk about. I wish we would’ve been brave enough to have that conversation. I wish we would’ve been able to agree on a plan of action, to determine what our priorities were and to find out, from the options that were available, what she really wanted most of all. I wish we would’ve had medical directives in place from the get-go, along with power of attorney for both financial and medical matters. We did get them in place eventually, but not before we caused ourselves a lot of undue heartache. Sometimes kind-hearted people, in an effort to be sympathetic, would say, “wow, caring for your mother must be like having a third child.” We would smile and nod in agreement because, really, what else can you do when someone is trying to be nice? But the truth was that having an an elderly adult to care for was nothing like having a toddler. My mother-in-law had lived a whole life before I was even born. She was set in her ways–and rightfully so. She was extremely hard of hearing, which meant communication could be frustrating and difficult and LOUD, but she was still capable of having an adult conversation. She had adult feelings too, which meant if we simply went about our daily routine without engaging her–because engaging her took a lot of effort and yelling that I didn’t always have the energy or patience for-she would feel neglected and ignored. Because she didn’t hear well she was often separated by a wall of silence, even while in the same room. This often prevented her from being a part of our normal family life and dialogue. She required care, but a totally different type of care, managing medications, arranging doctor’s visits, trying to convince her to try a hearing aid, and helping her maneuver around the house. There were sometimes moments in the course of the day that made us cringe, moments related to a loss of modesty and increasing difficulty with bodily functions. We had always loved to entertain, but because we couldn’t predict how or when those embarrassing moments would happen, we stopped inviting people over. In retrospect, perhaps we should’ve been a little more laid back, realizing that those things happen, but at the time it just felt….weird. Having someone live in your house sometimes means seeing and hearing more than you ever wanted to. Caregiving is often a thankless job, and the effects of that can cause a serious strain on all your relationships. During that time Chuck and I were often stretched to the max, and with no one else to take it out on, we lashed out at each other. We were more easily frustrated with our kids, and often frustrated with Marie as well. There were times where she seemed equally sick of us, and especially of the kids. I had hoped for a closer relationship, but I forgot that sometimes grandparents need a little space from the constant neediness of kids. Frankly, we all needed a little space from each other sometimes, and often there was just no place to go. Our outside relationships were strained as well. We were frustrated and resentful of family members who had no idea what we were going through. Most of our friends just couldn’t relate to our stage of life, and one by one they disappeared too. Had we known better, we would’ve joined a support group of other caregivers, but I think maybe at the time we were too proud & stubborn to admit we couldn’t handle it all on our own. That is an important distinction to remember, and one that didn’t occur to us until it was too late. Don’t get me wrong, all the doctors who helped care for my mother-in-law were kind and compassionate, and truly concerned for her well-being. But their first concern was always dealing with the physical concerns that would prolong her life as long as possible–managing her blood pressure and her kidneys and her diabetes. It meant lots and lots of pills and tests and doctor’s visits, and then later, after she had a bad fall and ended up in the hospital, even more extraordinary measures to get her “well” again. Had we the chance to do it over, I think we would’ve looked at the situation much differently. Our primary concern would’ve been making her final years and months as enjoyable and comfortable as possible, without worrying so much about prolonging her life as long as we could. At the very least, we would’ve realized that our job as caregivers was to advocate for quality of life, knowing that the doctors were approaching her care from a different perspective. After living with us for seven months, my mother-in-law decided on her own that she would like to move to a nearby assisted living facility. It wasn’t until someone else was sharing the responsibility for her care that we realized how much we had needed the break. Being a full time caregiver is at times difficult and stressful, especially when you add kids and the rest of life’s demands into the mix. Sometimes in the midst of the daily grind it is hard to see the forest through the trees, but had we known how desperately we needed to give ourselves a break, perhaps we would’ve tried a little harder to find respite care. Looking back, I now realize we entered our caregiving situation with a blind naivety that ended up causing problems that may have been avoidable. I am so very thankful that we managed to resolve them, and that we were able to maintain a close and loving relationship with my very dear mother-in-law to the very end. I am also so grateful that she was once again able to enjoy spending time with her granddaughters. She was a wonderful woman with an amazing heart, and I still miss her a lot. My hope is that sharing our experience–and the lessons we learned–might help those of you who are caregiving now, or will be in the future. 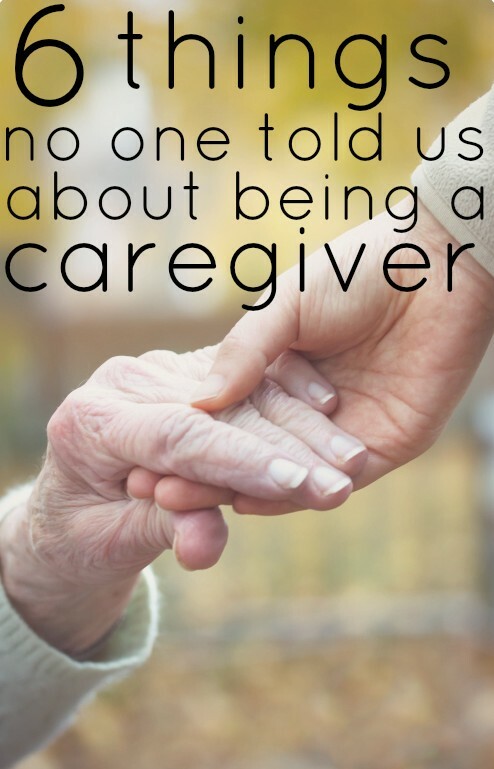 Have you ever been a caregiver? What are some things you wish you would’ve known? Ruth, thank you for your honesty in this post. I am currently caring for my mom who is in her eighties, and I could relate to so much in this post! I love her dearly and want to do what is right, but sometimes it is really hard. She doesn’t want to go to a nursing home but sometimes I just don’t know how much I can take. It was helpful to read this and see that I’m not the only one who gets frustrated and tired and overwhelmed. I’ve never thought about joining a caregiver support group, but I think I will look into one in my area. Thanks again. Blessings to you and your family. Great post with real and helpful information. Thank you for being open and honest. Another point to mention is that caregivers really are servants of the Lord, whether we recognize it at the time or not!~ “Whatsoever you do for the least…” It’s not easy, but it is a good and holy thing to care for those who need help and cannot care for themselves. We can turn to Him when that burden seems overwhelming…Again, just a great post! Thanks for sharing that article on your experience as a caregiver. We have been caring for my mother for the last 14 years (7 in our home and 7 in a nursing home). Even though a ton of the day-to-day stuff has been taken off our shoulders by the nursing home, we still have plenty of responsibilities in this regard. As a wife and mother, I found (and, sadly, still find) it a difficult balancing act — giving enough time to my mother so she feels loved, to my teenage daughter so she feels loved, and to my husband so he feels loved. In the end, at least for now, there’s not a lot of “me” time and that’s okay because it’s temporary. I just really appreciate your putting your perspective out there because it is exactly what I experience. I hope that people who read your article will think twice about what they say about the situation and appreciate how hard it really is. Thanks again. What a wonderful and helpful post. Thank you for sharing with us. I had no idea you and your family were in an accident?! I’m very glad that you all are okay. Whew, scary. Been there done that, no thank you! So, so true. Thank you! Three of the most amazing years of my life was when my mother came to live with me. My children were already grown. My eldest son was living with me because he had lost his family, car, and career due to mental illness. The three of us spent those three years loving and caring for each other. i am a registered nurse so i had that part down. Medications, hospitalizations, doctor’s office visits were not a problem. Mama had no control over bladder or bowels, so that was a problem for my son when i was at work. The first time he did not clean her and change her diaper, an ugly red rash appeared. After my explanation on the matter, it was no longer a problem. John took such wonderful care of his grandma. John was thirty-something! About a year and a half into this thing, i had emergency surgery for removal of a hematoma in the calf of my leg. After that, i did not go back to work, but chose to stay at home with John and Mama. We all slept in the same room together. Mama in her hospital bed was in the middle. John and I were in twin beds on either side of her. At night i read books to them. i get dramatic when reading aloud, so often times we were all three laughing out loud. We also talked and talked and talked some more. We sang hymns. We spent over a week without electricity during Hurricane Ike. My pastor brought ice and meals from the FEMA center every day. During the actual storm, Mama and I slept while John stood watch. About 4am he woke us up and we all gathered in the hallway. Mama was on a roll-a-way bed. John, the 3 dogs, a dachshund, a sheltie, and a rottweiller, and I were sitting on the edges of the bed. It was so hot, and so enclosed! Turns out the train that John had heard, which he thought was a tornado, was only a neighbor’s generator. On Sundays, i would turn the speakerphone on and the preacher would put his phone on the pulpit, and while John was at church, Mama and I would listen to the sermon on the speakerphone. John cooked all of our meals. i took care of all mama’s hygiene problems. When we found out that Mama was going to die within a matter of days, we were devastated, including Mama. We had all three had such a special time together. It was so difficult for it to come to an end. Four years later, i still have periods of deep loneliness. John has married and moved out of state. i live by myself. My children and grandchildren all live far away. Those three years were so very special to me. Thanks for letting me share them. Thankyou for sharing your story Louise Marie. Your memories are precious and bought me to tears. I love your heart and the practical, no fuss, way you were able to lovingly care for your Mum and your son. You can be proud that your Mum knew she was loved until the end (and beyond) and that your Son is able to live his own life. What a great role model you are! God bless you as you work through this next season of your life. Beautiful acceptance and willingness to love! Thanks for sharing and God bless you! Ruth, thank you for sharing, reminding us that life is short and that we need to plan ahead. I have not taken care of an elderly relative but when my daughter was in hospice it change my whole outlook on life. (She is still with us and doing well.) Hospice was wonderful and helped us in so many ways. You are spot on…and no one can EVER truly empathize with what it’s like until they have been there and LIVED it. Thanks for sharing your story. Hopefully it will help others out who are going through it! Blessings! Your post is true! Mama is 89 and lives on her own, still driving, still very active. 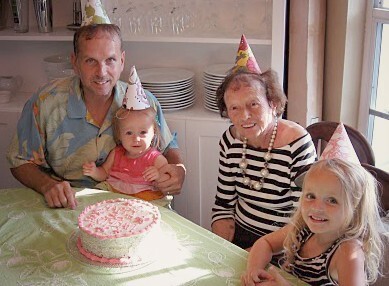 We have always talked about what she does and does not want to happen toward the end of her life, whenever that may be. The points you brought up about Medical Directives, and Powers of Atty for legal and medical are valid, not only for aged parents, but siblings or other relatives that may come to live with you. Gay & Lesbians should also protect their partnerships in the same manner as they do not have the same legal rights as husband and wife. Even for the legally wed, wishes and wants for end of life should be written down. Many doctors will prolong life at any cost. The nurses tend to be more ‘practical’ about quality of life and not just living. (I am an R.N.) With different medical professionals giving their honest opinion about what the best thing is, plus the wishes of the ill, adding in what each family member thinks is the right path….. that’s a lot of paths and a lot of confusion. Writing out what you want can ease decision making, especially if you are unable to speak for yourself. I hope that Mama lives many, many more years, then drops dead of a massive coronary while doing the tango with a handsome man on a cruise to the Bahama’s!!! Those of you who have witnessed long, devastating illness leading to a lingering death will understand exactly why I hope she dies quickly and while laughing. Those that don’t understand? I pray you never have reason to…..
my mother died a very slow death. she died of C.O.P.D. it was painful to watch her waste away. I too am caring for my mother with COPD. I’m an only child so when my step dad passed away 2014 my husband and I moved in with mother. Honeymoon phase is over and this is really starting to get to me. I’m 54 mom’s 72. I haven’t had the heart to ask for respite care yet that makes me feel like I’m giving up but my attitudes declining I’m in a dark place with it all right now. My health is declining too and I know she will need more help I’m so tired of doing it all. Husband isn’t a big help either alcoholic so I deal with it all here. Just went to doctors today mom’s gained 20 lbs from sitting and snacking all the time so she suggested we walk funny she never wanted to before because she’s always out of breath….I don’t even have the strength to take care of me and it’s one more thing I have to worry about let alone plan meals run errands and all that’s needing done around here. Thankful the finances are all in order for that day. Just don’t think I’m going to survive this! Feel bad for her feel bad for me need a long break. Still trying to sort thru all step dads things and organize this house but can’t get anything accomplished feel guilty if I’m not around her the biggest part of the time…and so the story goes..started counseling last week to work some things out for me too soon to tell if that will help. Mom can tell I’m getting tired and disgusted she cared for step dad 2 years before he passed so yes I feel guilty when I’m feeling like this. Just want to die. I can relate to all of this. Except for the kids, I have none. I also share my life with anyone who would like to read about it. lifeofaprilwhitehair.blogspot.com My mother has Alzheimer’s and I am her caregiver. Learning to do my best with all I have been given, good and bad. Thanks for sharing. I care for a friend who had a stroke and have done so for 8 years. I am her Power of Attorney. I can relate on so many levels. My friend is not a senior, so when she had her stroke the thought of putting her in a nursing home at 50+ was unthinkable to me. This has been one of the hardest things I have ever done. She owns her own home so I gave up my possessions and my rental place to move in and care for her. She is wheel chair bound and right side paralyzed. The doctors appointments, the weekly visits to hospital for INR’s, the finances, the community services wrapped around her: My friend can not speak and I had to explain aphasia to professionals.I have to speak for her. She can neither read nor write: the physio, and on and on. She too, due to her loss of communication skills, lives in a lonely place. It can sometimes take an hour to understand that what she wants is a simple cup of coffee. As her PA, I made a decision that I would not sign any financial papers without first attempting to explain to her what is was I was doing and why. You talk about family and friends not understanding and falling away. Her family, who have visited her 5 times in eight years call to put demands on me. The biggest surprise to me was the way that lawyers, bankers, etc treat a PA. I expected they would be supportive and helpful so when I ran into suspicion and mistrust I was quite stunned. It was a fight to get her needs met. She and I are just now discussing a retirement home for her. I was told by a worker that quite often the caregiver dies before the person they care for. I am so tired. You’ve addressed this so well re:family, I tip my hat to you and others who care for non-family members. I too am mother and grandmother and until a year ago, daughter. I know too what you have gone thru. We got OLD Dad. when it seemed no one else had time or wanted him.. BLess him he became my potato peeler. He said it made him feel useful.. We kept him till it just seemed he gave up.. He had issues with his legs where they got so bloated with fluid that I would have to put him in the hospital. Then I would go see him everyday.. He called me the night before he passed away It was GOOD FRIDAY.. AND Said are you not coming up here.. (being one of 7 children) he seemed to need me every day.. 🙂 No PROBLEm.. he would call me several times aday and ask how things were going.. SO I had told him that night “Well Daddy since you had a visit that I would stay home tonight .. THe nurse had come in to put him to bed.. and I told him Daddy give your phone to the nurse so you dont call me at 3 in the morning OK.. HE laughed and the nurse put his phone on his tray table.. I had told him I loved Him and would be there THE next day. He had been in the Hospital for 3 weeks. and only got a few visits from brothers and sisters.. Some he had begged me to get to come see him.. STUBBORNESS and Anger at him kept them away.. I had put a load of clothes to wash an heard my phone ring.. I ran up stairs and figured it was daddy so I called it back.. TO HAVE A DR.. Say.. those words… and the shock of what had happened to my DADDy.. HE was gone.. I wasn;t there to look into those big blue eyes.. and tell him I loved him one last time. I had to call them and tell them that Daddy had passed away.. To break that news to them… Some came right away.. others got mad at me because they couldnt hold his body in his room more time til they got there. 28 calls to find out she had been out cleaning her yard.. SHE got mad at me… I have 2 sisters that have stuck with me since all this happened. And I have to go to Court soon.. for the one that hates me… I didnt know what DADDY had planned in his WILL… HIS last words to his LAWYER were IM TAKING CARE OF THE ONE THAT TOOK CARE OF ME.. SHE WAS THERE WHEN I NEEDED HER… any time I needed something all i Had to do was ask RITA. Yes i was Daddys caregiver his daughter his friend and his confesser… he told me so many things . HE was a Stern father growing up.. AND I FORGAVE HIM OF EVERYTHING.. WE talked and talked .. He told me stories of the Service.. OF Hard times.. in the depression.. I held his hand when i got to see him in the hospital.. Like I had done many a time when i was a kid. I love you Daddy and I would do it all again.. THANK YOU FOR BEING A PART OF OUT LIFE.. and making me a better person. Love rita. Rita you are an angel. I took care of my daddy too, and nobody that hasn’t done this has NO idea on all of the myriad of responsibilities, the mental and physical toll it takes on the caregiver and everyone around him/her. But it still is a gift to be able to care for a loved one. I got closer to my dad while being his caregiver, and that is a huge gift that I will always appreciate. Sadly, I also experienced some mistrust by a relative which totally caught me off guard and shocked me. I thought, “you have NO clue as to what it took for me to do this”. Then I realized, that’s why they don’t understand because they have no clue, so it’s not their fault for not understanding. (The forgiveness is more for me than him I think.) Bottom line is that it made me stronger and feeling blessed for having experienced caregiving of my daddy. Thank you SO much for sharing this with such honesty. My hubby and I sold our home in Texas, left our jobs and moved to Arkansas and built a home next door to my Mom. We did this the year after my father passed away. I am an only child so all her caregiving falls on me. Her health has plummeted in the last year, and watching this has been a shock. I have watched my mother go from being this amazing, vibrant woman who feared nothing, to taking 22 pills a day to help manage her heart and accompanying issues, and being afraid of everything. She worries constantly, and of she doesn’t have something to worry about, she finds things to worry about. She has become a completely different person. She won’t make decisions, and when I do, she argues. It is so good to see your list and it is encouraging to hear from others. Unfortunately, where we live does not offer any sort of support groups, so I am navigating this road on my own. My hubby is very supportive, but acts more as a sounding board for me, and allows me to vent my very guilt-laden frustration when I need it. Again, thank you for giving a voice to this topic that more and more of us are having to face. Thank you for sharing this insight. You have provided some very important points for others to think about when looking at providing care for their aging loved ones. I recently moved over 400 miles to be closer to my aging parents so I can be there when they need help. I also moved in with my brother who has MS and could, at any time require my help. Luckily, my kids are grown so the care I provide for my brother and parents will not be on top of caring for kids as in your situation. Your experience validated the fact that I moved at the right time, so that I could get settled and prepare for what is coming. My mother already has dementia, and my father’s health has quickly declined. I was blessed with a 10 days vacation, and as it comes to a close, I learned today that as soon as I return home, I will taking my dad in for a pacemaker, and caring for him and mom while he recovers. This past winter it was cataract surgeries for them both. 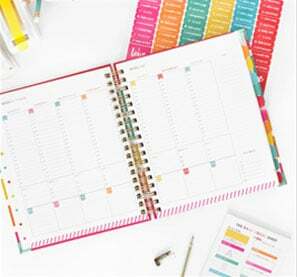 I feel blessed to have this time with them, and to have a separate residence for the time being, but know it is always possible this changes in the near furture, so your tips will definitely be put to use. I appreciate your open honesty. I wish that caring for my mother was that easy. She is going to be 81 this month and has been in our care for 10 years without a break. She is a colon cancer survivor, but has a bag that she has to wear for waste for the rest of her life. She also suffered from Alzheimer’s for the past 14 years. We would love to be able to put her in a facility but she does not have the resources for and the rest of the family does not want her in one yet. It is very exhausting. Thank goodness that our son still lives at home so that we can get our shopping done without having to take her with us. It gives us time alone. There is a lot more to this but it is hard for others to understand how had it is to take care of an elder parent. God bless. Thank you so much for sharing. This was exactly what I needed to hear tonight – so encouraging. My grandfather, 93, moved in with us when I had a 4 month old and a 18 month old…and a husband in seminary. Thank you for sharing your hindsight and wisdom gained. Thank you so much for this timely article. I am one of 4 children to my parents. The only girl and the youngest! My mother is almost 92 and still lives on her own for the most part, but most of the caregiving does fall in my lap. My older brothers are very involved, but the personal care falls to me. I don’t have any children, but I am still working full time outside the home. All my brothers are retired as they are a bit older than me. It’s hard to be a caregiver. Mom is struggling to give up some of the independence she has been holding on to. Her memory is failing and we don’t have the resources to put her in a nursing home or assisted living. My father passed away suddenly 11 years ago. I am glad that I live very close by and can help her, but it is becoming increasingly difficult each day My heart and prayers go out to those with children in the home, I understand the pressure. My 79 yr old Dad lives with me and it amazes me how is is actually healthier than me but I really see so many changes and it scares me this isn’t the Dad I know. My Dad raised us on a 500 acre dairy farm and he worked nights at Ford Motor Co. To give us the best, he is a tall 6’4″ man strong as an ox . He really is slowing down and it scares me, he moved in with me four years ago after my son passed and some days I ask myself “What was I thinking”? Some days I wouldn’t have it any other way! It really is tough but so worth it. Fortunatly we talk about everything and have everything covered for when certain thing arise. Love this thank you for writing it. This was a really good post. My Grandma lived with my Mom and Dad for three years before she moved to an assisted living facility. Being a caregiver is in incredibly difficult and I don’t think you know about what those unique challenges are until you are doing it. I was my parents back up so that they could go on vacation while I would stay with Grandma and my youngers siblings. I’m the oldest of 8 and so 5 of them still lived at home. My husband and me with my two daughters would move in for two weeks. I was glad to give my parents a break cause they really needed it so badly but I was ready to go back home when they came back. Being a caregiver is an amazing thing and I wish people who know people who are caring for elderly parents or grandparents would give more help and understanding to those who are in the thick of it. God Bless all of you who have cared. My daughter had a kidney transplant. The doctor dropped the kidney on the floor, but put it in her anyway. This is something we learned about later and when contacting lawyers, all the evidence had been “misplaced”. My husband(her stepfather) and I lived out of state, but came to live with her and her husband(she had no children). Her husband was still working so we took care of her. Taking her to numerous office visits, hospital stays, therapy visits in home and at sites, caring for the medicines (20 to 30 a day most times), cooking, cleaning, etc. We watched as she became more and more incapable of doing the most elementary things. She never got free from infections, her eyes sometimes seemed so vacant. My heart broke. She had other family members, but seldom did anyone help or visit. We would have liked to have someone come for an hour or so to get out for a spell, but other than her father coming once in awhile when asked and an occasional visit from others, no one came by. It would have been so good for her to have people stop by for a few minutes, it would have brightened her day so much. People are complicated, because at the service we held for her the room was packed and some had to stand outside to hear. She touched so many lives, yet hardly anyone came by. I have a really hard time understanding this. She was my daughter, friend, confidant, I love her so much. We did not want her in a nursing home as I have seen what goes on there as my mother(for a short time, then I put her in hospice) and my husbands mother were in one. All this to say, you could have something happen to one of your children or someone younger and not have measures settled as to what they would like. Fortunately we were able to stay with her most of the time; except a few days here and there where we had to go tend to matters at our home out of state; until she passed away. My husband and I were so tired, it is a very stressful, sad, sometimes hopeless feeling to care for a loved one. It breaks you heart to see your child sick and you can’t help them or make them well. Support is of the UTMOST importance. If I had not had my husband there for me it would have been so much harder. At that time we were in our early 70’s and God provided us with the health we needed to care for her. She was such a joy and her giggle still resonates in my heart. So no matter how much you love someone, it is a very difficult situation to handle. Our short times away renewed our ability to care for her. It is so important to care for yourselves, then you can better care for your loved one…Thank you for sharing Ruth and thank you for providing a place for me to share…this is the first time I have done so, and I know I rambled, please forgive me of that. She passed away over 2 yrs ago and yet it seems like just yesterday sometimes. I still miss her so. I am so sorry for your loss. Many of us caregivers have felt the vacuum as friends and family disappear when you need them most.. And it tiring to ask and even worse to be denied. As you so succinctly said, people are complicated. I think oftentimes people don’t want to admit the truth to themselves or sometimes are weak and just don’t want to do difficult things. I can not imagine what a blow it was to lose your daughter. Wishing you strength and perseverance, and eventually peace and happiness, as undoubtedly your daughter would so want for you. You are an amazing woman to admit all of these things. Isn’t it funny how we realize after the whirlwind nightmare that we spread ourselves too thin? I do believe as good people with good hearts it is better to give too much then not enough, though. Usually an end to the suffering will come, sometimes it takes years. It really takes so much experience to figure out that balance of getting help and not taking it all upon ourselves. Will we ever get it right? As women, even in general? We are such giving beings and we are constantly stressed. I can’t imagine being the one who has to be taken care of. Surely it’s worse. I took care of my husband through his cancer all last yr. Slept bedside day after day, washed him, watched him almost bleed to death, constantly throwing up, and that look in his eye of giving up and yet trying to keep sane. He says it was hardest on me, but i cant imagine being him. It is amazing what the human psyche can take with prayer. It’s the only way we got through all that. Thank you for sharing your words and story. Very inspiring. You are a strong woman who now has wisdom and discernment you just wouldn’t have had before all this happened. That makes you an amazing mother, wife and friend to all those in your life. We have to allow ourselves to be in off moods, days where we hide or just do nothing. I think we have earned them. Thank you for sharing this. I am in my third round of caring for an elderly individual. I’ve learned the hard way, too, that it’s impossible to be Superman or Superwoman for an extended period of time. We need to take care of ourselves during such times so we can better care for all of those who need our attention and concern. Also, it is just so wrong for anyone to say that caring for an elderly individual is the same as caring for a child. It isn’t. With a child, there is the realization (or at least realistic expectation) that the child will become increasingly independent and self-sufficient with each passing year. The hope for any sort of improvement just isn’t realistic in so many elder care situations. It’s so important to have uncomfortable but necessary discussions with loved ones before such situations unfold. I’ve been taking care of my mom who is unfortunately losing her battle with Ovarian Cancer. 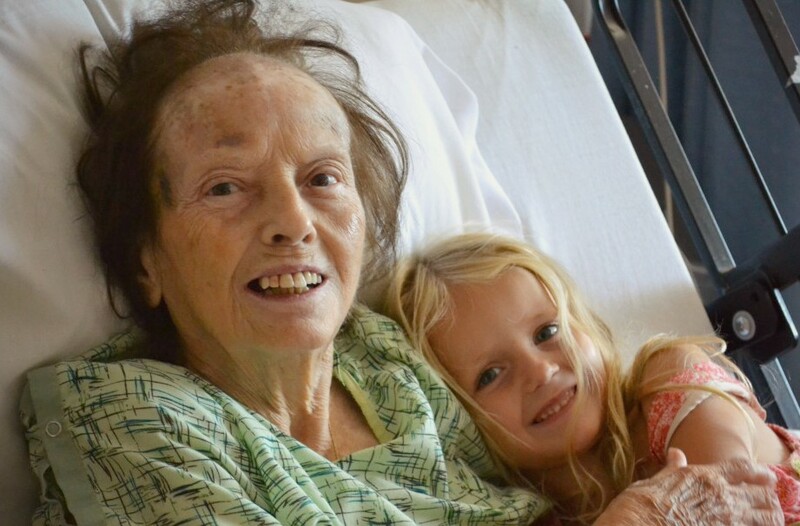 The doctors told her she will have only weeks left if she doesn’t continue treatment and her difficult decision was made….just return home to live out the final days. People amaze you when you begin facing this type of hard road. Some who have stepped up to offer support, may it be a meal delivered to our house, a gift to show they care or a lifeline at the other end of a cell phone, fill me with strength and hope. Others disappear, never even think to check on us or call and leave me wondering….why? I never knew this would be so difficult. I knew it would be hard enough to face life without my mom, but I had ZERO idea that being her caregiver 24-7 would change my life in such profound ways. My heart goes out to the fellow soldiers who are out there, past and present, fighting for the dignity of their loved ones as they transition. I know we have all met in the trenches spiritually and collectively. During the darkest hours filled with doubt and sadness, we must remember: We are the strong! We are the ones who realize that our loved one would want the very best on their journey during which they rely on us for care. I want my mom to have everything I know she’d want to give to me if this horrid situation were reversed. I will give her the gift of grace and dignity and comfort, no matter what it takes. No matter how many people attack me or question me, fueled by their own grief and resentment. The beauty and positivity I’ve found in the quiet moments with my mom during her suffering are what I will forever cherish. I feel somewhat sorry for those who missed out on all the heart wrenching and glorious beauty I’ve experienced. Through it all, I know with every difficult step, this is my mom’s gift to me on her way to the next realm. As a result, I am filled with more love than I ever thought could be achieved. If there is one qualifying characteristic necessary in order for a person to become a good caregiver to an elderly parent, grandparent or other relative, it is without a doubt lots and lots of empathy. There are so many moments that can be so difficult in so many ways, especially when the person on the receiving end of the care fights what you know is in his or her best interests. I read the comments above, I also read the article that Ruth wrote. I agree with all of those that commented. I have been a taking care of my wife for quite a few years. I will agree, this is not and easy job. I’ve been caring for my mother for ten months. She has been a wonderful mother but has given up trying to do anything for herself at all. When I try to encourage her she cries and says she doesn’t want to go to a nursing home but never tries to do anything. She says she doesn’t want to be a burden and doesn’t expects us to alter our lives for her, but her actions say otherwise. I’m getting tired and frustrated. At first I loved having her here but as she continues to give up and expect more and more and is seeing more complications. I have a demanding job and while I would like Mother to continue to stay here, I do not have the time it the desire to be a nurse. She could hire some outside help but refuses. Not sure how much longer I can keep this up. She doesn’t want a fuss made over her but seems to create the need for one if I’ve worked a lot of hours or am paying more attention to my husband and daughter than her. Exhausted with it all!!! Caregiver | An Honest Look at Caregiving <Liked it! This is a really lovely article and one I can totally relate to even if my own situation is different. I care for my nearly 80 year old mother who is legally blind. Overall we both get on very well and do our best to continue that, but it’s hard on both of us not to occasionally just get frustrated and bad tempered. I am single and have no siblings so here is abolutely noone else to turn to for a break. I am still able to work, because it is near home and luckily my work is very good about being flexible, but I really worry about one day when I will need to be here fulltime because I simply cannot afford it. I am in my early 50s and only managed to finally save enough to purchase a small apartment a few years ago which I rent out. If my mother has to move into fulltime care she will have to sell the family home to afford it, and I am currently living on the absolute minimum I can so I can pay my mortgage off before this happens as I may not be able to keep up the payments by myself when I have to live there. The hardest thing is the total lack of understanding from other people who have not had to care for someone with a disability – they may be wellmeaning but just do not get it at all. Even things like not understanding why I don’t watch the latest tv shows, so I get left out conversations at work – we only ever watch tv at home if it is s show my mother likes which I can provide a running audio commentary for so she knows what is going on – I wish it was different but I do not resent that as she gets so little entertainment and puts up with so much and this gives her a little bit of pleasure each evening. Essentially when I am not at work or doing the shopping I am at home with her doing things she needs, and get maybe a few hours to myself (still at home) on the weekend if I am lucky and that’s it. It would be nice if other people really thought a bit more about what caring actually means giving up. I have jolined your rsss feed and stay up for seeking extra of your magnificernt post. is a few emulators I would suggest. ” Select “Play – Station 3 Controller” and go to Properties. 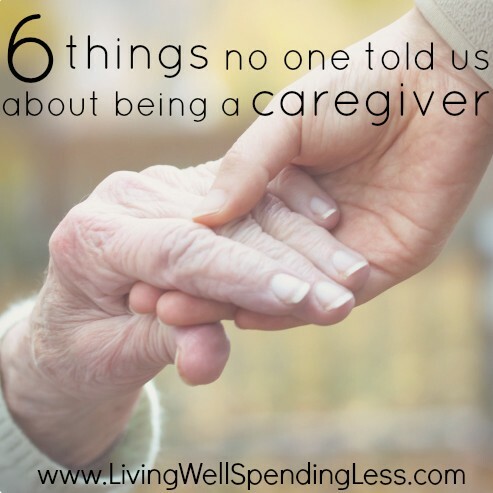 I don’t write a lot of remarks, however i did some searching and wound up here 6 Things No One Told Us About Being A Caregiver | An Honest Look at Caregiving. Could you make a list of all of your communal pages like your linkedin profile, Facebook page or twitter feed? Thank you for so openly sharing your caregiving experience. Your bravery and honesty with writing this will help a lot of people. It is very common to feel overwhelmed and under-prepared when you are a member of the “sandwich generation,” taking care of an aging loved one and your own children. Often times, people in that very position have so much on their plates that they do not have the time to stop, breathe and assess what the best move might be for everyone involved. Like you said, in the midst of the daily grind, it is hard to see the forest through the trees. It is important that you recognize that you needed a break. Respite care can be extremely helpful to the family, the caregiver and the person in need of care. It is important once you recognize that your loved one might need care, that you have those discussions early on. I suspect that even though caring for your beloved mother-in-law was difficult at times, you are grateful that you had the chance to be there for her. Your mother-in-law was very lucky to have you and your family. ชุดครีมโสมหน้าใส เอรีน ขาวใสเด้งปลอดภัย ไม่ก่อให้เกิดอาการแพ้ มี อย. Well said and summed up!!!! I am a homeschooling mom of 4, caregiver for my 91 yr old grandma with final stages of dementia, and my husband works out of state during the week. I had no idea what I was getting into, I’m going on 2 years of being a caregiver and I feel emotionally & physically bankrupt. Hiya very nice website!! Guy . Beautiful . Wonderful . I have been my father’s caregiver for years now. After all, I am the single one and naturally the most available. As far as a social life, that went away years ago. I work and pay someone to come in to watch my father, come home, fix his dinner and that is my life. I bought a beach house that U cannot enjoy since I must bring my father with me, I cannot get away to visit my own grown children since a weekend sitter would be too costly. Translation- I am miserable. I would never do this to my kids. I agree, never would I burden my children with the task of caretaking. I have been caring for my mother for four years. We never had a good relationship and I even avoided seeing her as often as possible. I was abused as a child and in and out of foster homes. When she because I’ll and required total care, I was the one who stepped up. I had a sister who did not work and had enough room to accomidate mother, but she would not accept responsibility for her. Mother begged to be cared for at home, I agreed and sold my home and quit my job to care for her. During these four years, she has been hospitalized several times. She has End stage COPD. She refuses to stop smoking and now is drinking from morning until night. She refuses to help herself in any way. Her meals are prepared, as per her request, and then she finds the least little things wrong with the meal and refuses to eat it. She refuses to walk more than 10 feet and insists that we push her in a wheelchair. She has stopped going into the bathroom and we have had to place a bedside commode in her room, which I now must empty several times a day. She refuses baths, she cannot get into the tub, so I wash her in the restroom and that is like pulling teeth. She becomes belligerent with others when she doesn’t get her way. I must do everything for her. I no longer can work, I am 53, and I cannot contribute to my retirement. I have asked her to get life insurance so that I might be at least, somewhat compensated for my loss of income, but she has refused, even though my insurance would go for caring for her, if I were to die. Of course she’s all for that. I am now having to care for my husband who just had quad bypass and a stroke. I feel unappreciated and I am exhausted. I have family who say they will come and then do not show up. My finances are almost depleted and I have lost most of my friends, no social life at all. Thank you for letting me vent. Any suggestions would be appreciated. Lost and tired. 7 months and then it was over? Wow, you are lucky. I have been doing this for over 7 years and my elderly MIL will never consider living in a home. She has a brother who also moved in (lucky us) to help out with her care and now we have two elderly people runing amuk in the house. I have given up trying to get things under control. Let them do wathever they want. They do so much stupid things in one day, that I am amazed that they didn´t end up in the hospital at least once a week. It´s nothing like taking care of a child. Children grow up and learn not to do stupid things anymore. I love my job. I take care of a man in his 90s and we’re best friends. However, he has two sons and they’re both not big fans of me. That’s what everyone should know…dealing with the family can be extremely difficult. Thank you so much for writing this. I wish I had found it months ago. I am caring for my 92 year old dad in the last stage of his life and everything you said is so true. Thank you so much for sharing. I totally understand what you mean. I was a caregiver to both of my parents . Mom who was suffering from dementia and dad who is wheel chair bound, no thanks to STROKE!. I love them both to bits and like you said, nothing really prepares you for it. I am an only child and working at it on my own was a fete! Mom has now passed away and dad insisted that he be placed in assisted living as he could see the toll it had on me. I now cherish the break that I have . Never ever realised it while I was going through the motion. If I had known what I know now, perhaps I could have done better in taking care of both of them and myself. My own “blink-of-an-eye” moment occurred March 2013 when my wife collapsed in the hallway of our home. Then 911, ambulance, hospital, brain surgery, more hospital,rehab, insurance exhausted, savings decimated, and now two plus years later a routine of lift chairs and bed, “adult diapers”‘, wheelchairs, and then there is the loss.. Loss of the vivacious personality that she was. Loss of hopes, dreams, plans, and what could have been. The loss of friends, relatives, and even my children who can’t deal with what is. Most days I try not to think, just do. Great article. My sister and I have shared the caregiving of our mom. It has been one of the hardest things. You definitely need a break from time to time. People who haven’t been a caregiver just think you’re being lazy and selfish, not that is had work and very draining. Also the criticism of everything you do. If you aren’t going to give me any ounce of help, don’t act like you can tell me how to do things when all I’m trying to do is give her the bast life I can. I’m happy I have found this site to see other’s are in similar situations. Mine’s a bit different though. 24/7 watch over my Mother as she was diagnosed with Parkinson’s as she is currently on her 2nd stage but before that she had constant check-ups and problems that also lead to the situation she is in with many prescription pills day-in and day-out. I have been there for her going on three years now. Fixing food for her, helping bath her, help her walk and all sorts of things with a smile as I keep it all bottled up showing her the best comfort, entertainment and understanding. I’m 23 but I have learned to deal with no job, no future to grasp onto after all is said and done. I keep my head up and cry silently on occasion. I don’t celebrate my birthday or receive gifts because the guilt is too strong to bare, even going to the doctor’s I do not wish to do so because of the money problems. Life is given to us as we see fit on how to control it. It’s a sorrow life but I wouldn’t trade it in for the world because I absolutely love my Mother. Just thought I would express a little from the bottled up emotion a tad bit and share, I hope you do not mind so. Thank you for posting some insight for other’s to also share. Great article and very instructional too.. Thank you so much for sharing your experience. I am caring for my mother-in-law full time, have a rambunctious toddler who is a year and a half and another baby on the way. My mother in law has been with us for nearly 8 month she and my experience and thoughts closely mirror yours. My mother in law is 59 and has a host of conditions that were mostly preventable had she made different choices in her life. I can certainly relate to the feelings of resentment towards the loved one. My husband and I certainly need a break and are in the process of figuring out what the next steps are – whether moving her to a skilled facility or seeking home services. All in all I felt that no one understands the struggles of raising young children and caring for an older adult. My friends don’t have children let alone caring for a parent. I am relieved to know I am not alone. Thank you, again. I lost my Dad two months ago. I tried to take care of him, and I did, but he was not himself those last weeks of his life. I can’t even grieve him properly because I have so many responsibilities now that I’m back in my own home. So much work to catch up on. And a child in the house, as well. I don’t believe many of us know what to expect when we are responsible 24/7 for an elderly parent. I guess we just do the best we can at the time. They are the ones who are old and infirm, so you just pretty much have to put their needs first. I am still playing catch-up and all I see is much more work ahead. You better have a really supportive, willing-to-help sibling, or you will run yourself ragged. I only wish I could have brought my Dad into my home. There was no room for him here though. It would have been so much better with my husband to help out, even if just small things. And he would have appreciated having another man around, he really would have. I’ll just have to accept that I did what I could with what I had. Hi. I have responsibility for adult and older adult ministries for the Cumberland Presbyterian Church (at the denominational level) and would like permission to repost this blog on our website. You would, of course, be given credit and the name of your blog included so that others could access it. Please advise as to whether or not that will be a possibility. Thank you. Thanks so much for your interest in sharing Ruth’s content! 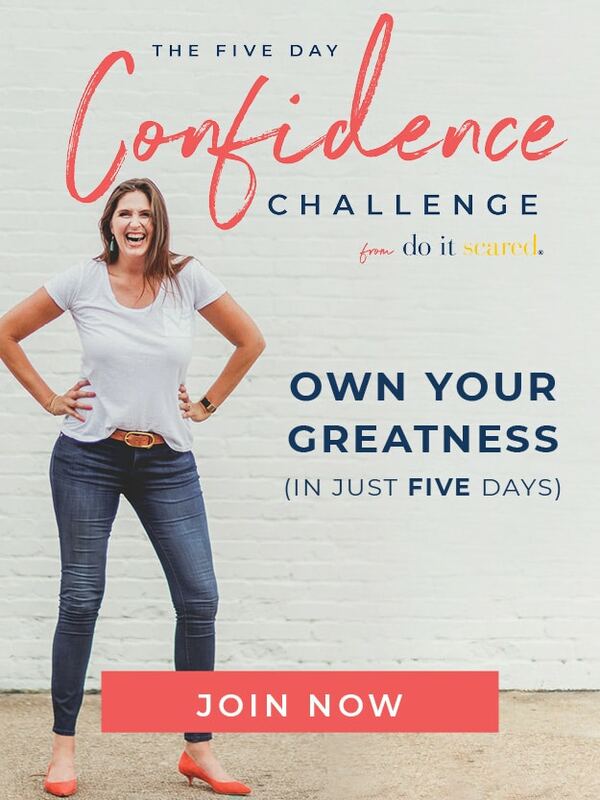 We do not want her entire post to be included on your website, but a short synopsis with a link to livingwellspendingless.com where members can continue reading would be fine. Please reference our Copyright and Reprint Policy (https://www.livingwellspendingless.com/copyright-reprint-policy/) for more specifics, and let me know if you have any questions. After the death of my hubby I moved in with my daughter and son in law at her insistence. I’ve found a myriad of small jobs which keeps me busy and gets me familiar with this rural life (I came from Los Angeles). I’m upper 50’s and relatively healthy. Heretofore my daughter has had it easy, as have I. My mother, in her mid 80’s, who suffers from slight dementia and is incontinent will be moving in with us this month. We are in the planning stage right now. Her room is beautifully appointed and landlines, comfort chairs, clocks and lamps have been ordered. We all work all day so we need help. As a previous writer posted, the resources are extremely limited in Arkansas. I’m worried about all the great benefits she’ll lose coming from Dallas to here. She’ll gain a welcoming love and acceptance but doctors and benefits are about to nosedive. I suppose it will be worth it, I even offered to retire early to be here for her but my daughter says no. I know it’s because I’m already an annoying over doer. I’m excited for my mom to be here, we don’t know what we’re getting into but we love her and pray that the stresses on us all will be minimal. Very well written an define each step what are the duties of caregivers. Actually i also work at home care services where we offer services to elder parents who are disable to look after themselves hope you also like it visit today youinmindhomecareservices.